We have all the flooring types that you could want in your home or business. We carry everything from carpet to sheet vinyl. Talk to our experts at DUNCAN Flooring Specialist about the right kind of flooring for your building’s needs. Carpet adds a sense of comfort and warmth to any room. We have a great selection of flooring any kind of building. We have a variety of textures, patterns and thickness that can make your home or business look exactly the way you want it to look. 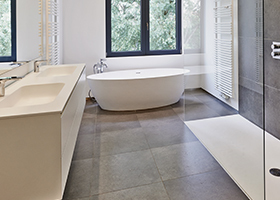 Ceramic tiles will add dimension to your bathroom, kitchen, or commercial building. Tiles add a sense of calm and relaxation. They also are easier to clean than other kinds of flooring. Make your design vision a reality with ceramic tile flooring. 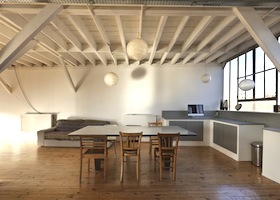 Bring nature inside your home or business with hardwood flooring. 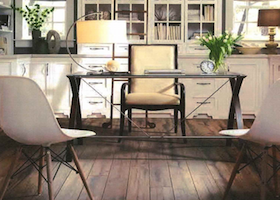 The rich, warm colors of the wood add brightness to any space. DUNCAN Flooring Specialist has a nice variety of species of hardwood to perfectly match your style. 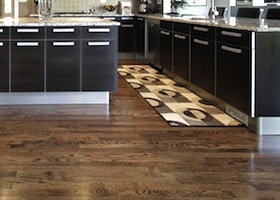 Laminate has the ability to perfectly imitate other kinds of flooring for a fraction of the cost. Laminate is also very easy to clean and manage. 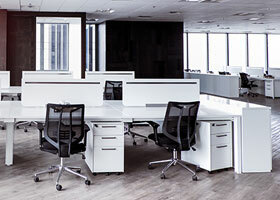 Talk to our experts about all of our laminate options and see how we can help your building. Vinyl can be easily installed into any room. It is highly durable and can handle high humidity and moisture, and it looks beautiful for years. Take a look at our great selection of vinyl to see what options are right for you. DUNCAN Flooring Specialist believes that it is important to find ways of helping the environment through sustainable flooring. 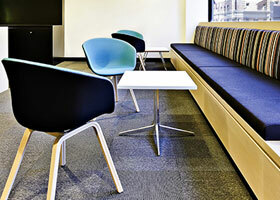 We offer many brands of eco-friendly flooring that will look amazing in any residential or commercial space.